This bronze sculpture is of a Greek solo dance (as opposed to the more common line dances) called “The Zembékiko”. The dance is done to a very challenging 9/4 time signature. 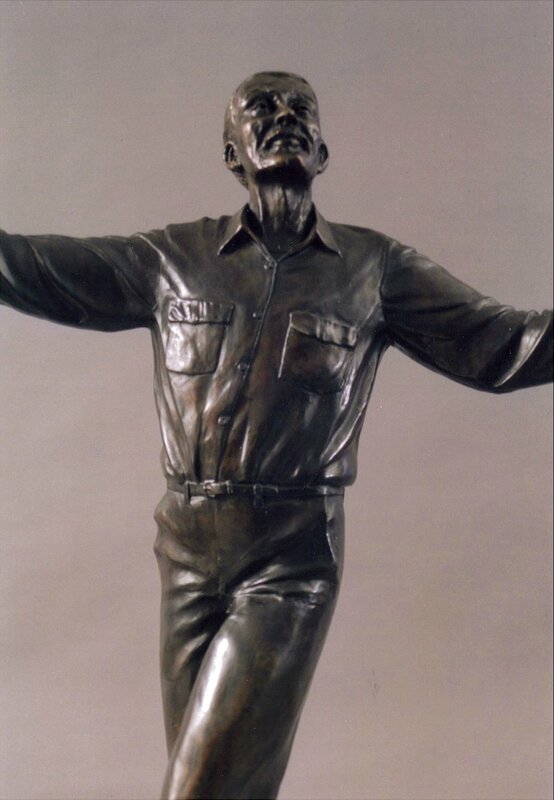 In my sculpture, a hard-working man, come in from his olive groves, forgets his troubles in a moment of release. The word "opa," shouted during dances, expresses that feeling of abandon. I don't often work this realistically. My focus was on getting the forms of the dancer’s body and the fall of his clothing to convey the feeling of upward movement, the lifting of the spirit that the dance induces.